If you’re setting up a planted aquarium, you’ll want to provide the best environment for the plants to thrive. One of the most overlooked components of a planted aquarium is the substrate. You may think of it as just aquarium gravel, but there’s more to it than looks. 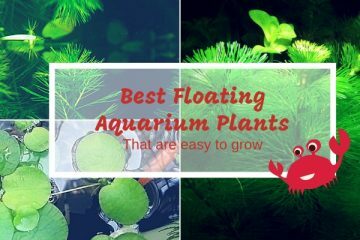 You’ll want to use the best substrate for planted aquariums because it can make the difference between an average tank and a beautiful aquarium filled with lush aquatic plants. Here’s what you need to know about substrates for planted aquariums. 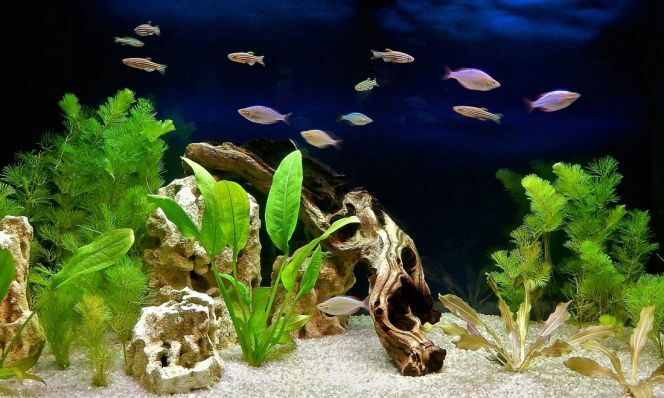 There are several kinds of aquarium gravel but not all are suitable for a planted aquarium substrate. Here’s why. Aquatic plants absorb nutrients through their roots. The plants roots release traces of acidic substances that break down mineral and organic matter for easier absorption into the plant. Many aquarium substrates are manufactured to be brightly colored. Natural mined and synthetic epoxy-coated gravels are coated with artificial colors and epoxy sealers. These coated gravels are very tough and long-lasting. But they’re often too large for the planted aquarium. Large pebbles don’t provide the right environment for plant roots. Even more important, coated gravels don’t release nutrients! But you don’t use a natural sandy substrate either. Here’s why. Speaking of nutrients, the substrate has a nutritional role. Substrates made of natural ore or processed soil contain valuable minerals and trace elements. But these nutrients don’t dissolve in water. Each substrate particle has to be in close contact with plant root fibers. The roots release chemicals that strip off just the right amount of nutrients from the surface of the substrate. Keep in mind that no planted aquarium substrate contains the nitrogen and phosphorous your plants need. In some cases, the natural accumulation of nitrate and phosphate from fish waste will supply your plants with these nutrients. But in densely-planted tanks It will be necessary to use a tableted plant fertilizer that adds nitrate and phosphate. Insert the tablets into the substrate. The idea is to keep the nutrients in the root zone and not in the aquarium water, where algae can use them to form blooms. Substrates designed specifically for planted aquariums come in two forms: hard, porous substrates and soft soil-like substrates. The hard styles appear very similar to the regular aquarium gravels we’re all familiar with. But the specialty plant substrates have several qualities not found with traditional aquarium gravels. The hard-style substrates are either mined ores or baked clay materials. They’re naturally porous or have a rough surface. Beneficial bacteria grow on the surface and help to release essential nutrients from the substrate. Hard substrates last for years. Dirt and sludge build-up can easily be removed with a gravel siphon. The other important feature is these mineral-based substrates don’t raise pH or water hardness. They other type of planted aquarium substrate consists of small pellets of natural soil and organic matter. Natural soil and organic matter are blended and processed to create a uniform granule. Each granule is relatively soft due to the organic materials used to form the pellet. These pelleted aquarium substrates are more chemically and biologically active than the hard substrates. The organic matter, usually peat-based materials, will release acids that neutralize carbonates (KH) and lower the pH. This creates an acidic environment in the root zone. This is a benefit because essential plant nutrients are more chemically available for absorption in a slightly acidic environment. The result is better plant growth because the nutrients are readily available to the plant. Peat-based substrates can also bind up a small amount of water hardness (Calcium and magnesium) and have a water softening effect on the aquarium water. These types of substrates are often called “aquatic soils.” Like natural soils, these substrates can become soft and slightly mushy over a 10 to 12-month period. If this becomes an issue, siphon out some of the old substrate and replace it with new granular aquatic plant substrate. This restores the attractive pebble-like appearance on the surface of the substrate layer. Carib Sea’s black planted aquarium substrate is made from rich basaltic volcanic soil. It’s naturally high in calcium, magnesium, potassium and sulfur, plus over 25 other essential trace elements needed by plants. Carib Sea Eco Complete Planted Black Aquarium Substrate also contains iron, a mineral needed for lush, green leaves. It contains live bacteria that help start a new aquarium and prevent the build-up of organic pollutants. The hard, mineral substrate won’t break-down with age. 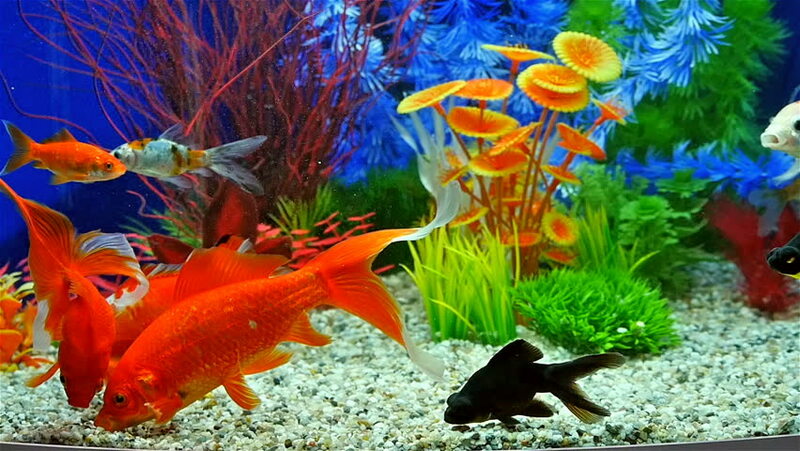 You can use a gravel siphon to clean the substrate bed, without creating a dust cloud in the aquarium water. Flourite Black is a natural, porous clay material, milled and screened to a 1-2 mm size. The substrate is porous, with a high surface area. The porous nature of Fluorite Black will support a healthy biological filter. The substrate is not coated with chemicals or paint. Flourite Black is contains minerals that plants need for growth and vibrant coloration. The substrate is long-lasting and won’t soften or turn to mush over time. Flourite Black never needs replacing. This plant substrate can be gravel-siphoned to remove organic sludge and other debris. Fluval Plant and Shrimp Stratum is mined from the mineral-rich area of the Mount Aso Volcano in Japan. It contains essential minerals required by aquatic plants. 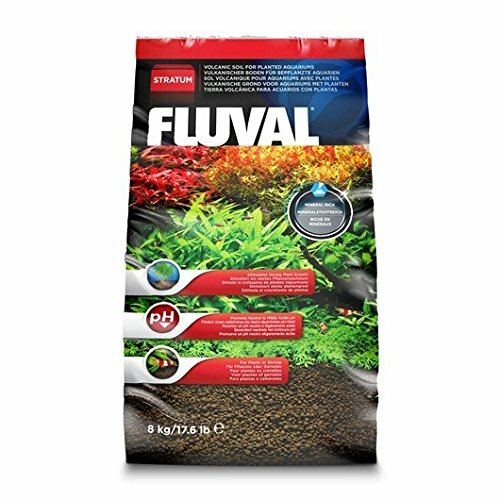 Fluval Plant and Shrimp Stratum is completely natural and contains no synthetic colors or epoxy coatings. The smooth surface of the particles is shrimp-safe. Smooth-bellied bottom-dwelling fish, like loaches and catfish will enjoy the soft substrate too. Fluval Plant and Shrimp Stratum has an attractive brown, coffee-like color. This soft, light substrate is very difficult to clean with a gravel siphon. It is easily sucked into the siphon tube. Carib Sea’s Eco-Complete planted aquarium substrate has a brick-red color. It is a natural basaltic ore containing calcium, magnesium, potassium, sulfur and iron along with more than 25 other essential trace elements needed by aquatic plants. 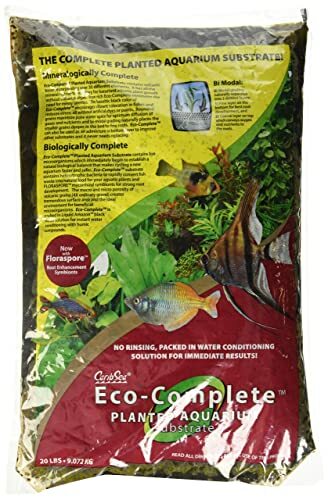 Carib Sea Eco-Complete Planted Aquarium Substrate contains live heterotrophic bacteria start biological filtration in new aquariums. The substrate also contains Floraspore microbes, which make nutrients more available for plant uptake. The substrate remains hard, even after a year in the aquarium. This makes it easy to stir and siphon the gravel periodically. Changing the aquascape is painless because the substrate won’t kick up a lot of dust. 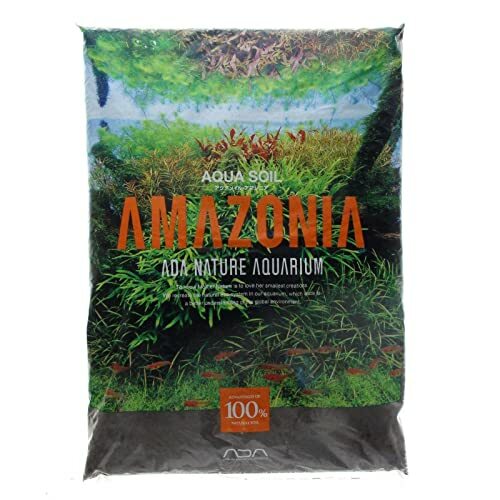 Amano Soil Amazonia is a natural aquarium substrate rich in organic acids and plant nutrients. The substrate is smooth and light-weight, making it suitable for keeping shrimp. 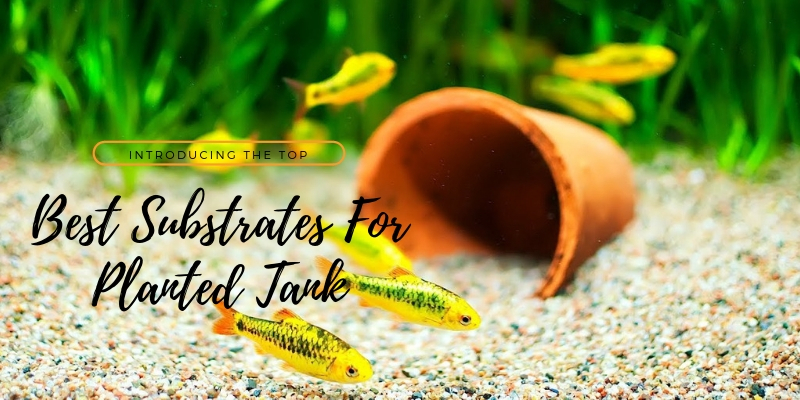 Soft-bellied fish like corys and loaches won’t be irritated or scratched by sharp edges. ADA Aqua Design Amano Soil Amazonia is naturally acidic and will lower the pH and carbonate hardness. This is a perfect feature for an Amazonian-themed biotope aquarium. The acidic substrate makes nutrients more available for uptake by plant roots. Removing or adding plants can cause cloudy water due to suspended particles of substrate. Cannot use a gravel siphon to clean the gravel bed. Adding new plants can cause cloudy water. 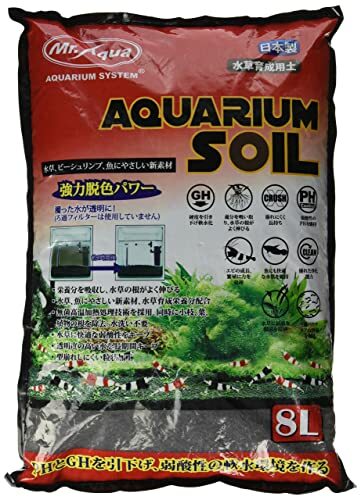 Mr. Aqua Aquarium Soil is made from Japanese soil. It’s fired in a kiln with other essential elements to create a uniform planted aquarium substrate. The substrate particles are smooth with no sharp edges. Bottom-dwelling fish and shrimp won’t be scratched when moving across the substrate. The particle size is perfect for securing the plant roots and anchoring the plants in place. Mr. Aqua Aquarium Soil will gradually reduce water hardness, lowering the GH level. Care must be taken when removing or adding plants to the aquarium. This soft substrate is easily suspended in the water. 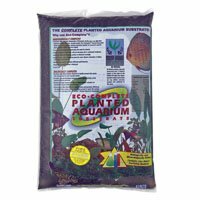 Mr. Aqua Aquarium Soil is formulated to maintain the pH level between 6.0-6.5. This plant substrate lasts 8-12 months. After about one year, the tank will have to be re-started with new substrate. While the pink coloration may seem attractive, it is not designed for use in a freshwater planted aquarium. 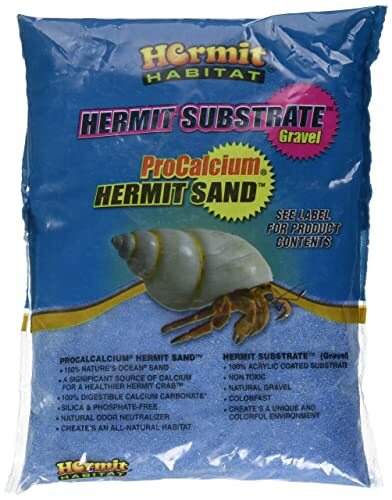 Hermit Habitat Terrarium Sand is a calcium-rich fine sand intended for dry hermit crab habitats. Used in a planted tank, the substrate will pack too tightly. The plant roots won’t be able to penetrate and spread out through the dense sand bed. Hermit Habitat Terrarium Sand will increase the water hardness to undesirable levels for most aquatic plants. Chances are good that pH level will rise too. 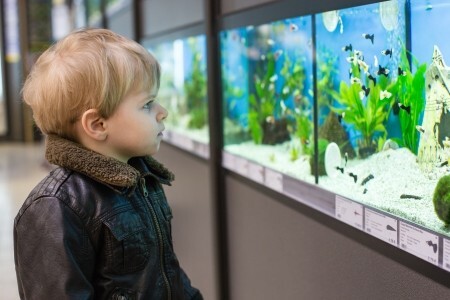 Only aquarium-safe substrates should be used in an aquarium. 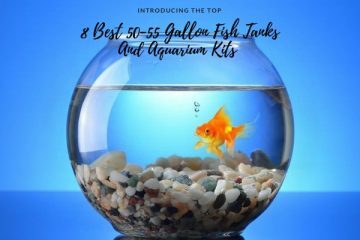 We’ve reviewed seven of the most common substrates you find when you shop for planted aquarium supplies. We’ll help you decide on the best substrate for your planted tank. Appearance is very important for the aquarium. Your choice of substrate color is black, brown or brick-red. All of these colors are attractive and give the planted aquarium a natural look. Any of the specialty substrates will blend nicely with red and green foliage along with ornaments like driftwood and rocks. Carib Sea Eco Complete Planted Black Aquarium Substrate, Seachem’s Fluorite Black and Carib Sea’s Eco-Complete (reddish) planted aquarium substrate have a baked-clay texture. These substrates are very hard and won’t disintegrate or get soft, even after many years in the aquarium. You can easily clean the gravel with a siphon without creating a dust cloud. It’s also easy to make adjustments to your aquascape, remove old plants and introduce new specimens without worry of disturbing the substrate. The softer aquatic soil substrates are softer and can create a cloud of particles if disturbed. Carib Sea Eco Complete Planted Black Aquarium Substrate, Seachem’s Fluorite Black and Carib Sea’s Eco-Complete planted aquarium substrate are made from ore materials. This means they contain many essential plant nutrients in the mineral structure. The nutrients don’t automatically dissolve into the water. Plant roots secrete substances that dissolve and extract the elements. These planted aquarium substrates don’t normally contain nitrogen or phosphorous, which aquatic plants need to survive. You’ll have to use a tableted plant fertilizer to provide all the nutrients needed to support plant growth. Look for a slow-release fertilizer tablet that contains nitrate and phosphate along with other nutrients. Both of the Carib Sea aquarium plant substrates are treated with live bacteria cultures. The bacteria will break down organic wastes and uneaten fish food particles. These bacteria are not nitrifying bacteria. This means the bacteria on these substrates won’t eliminate ammonia and nitrite, which is commonly seen when starting a new aquarium. 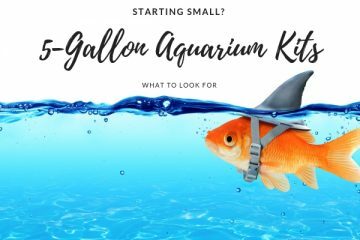 But this is not a concern because most new planted aquariums rarely experience high ammonia and nitrite levels because few fish are added and the plants use these nitrogen sources as food. 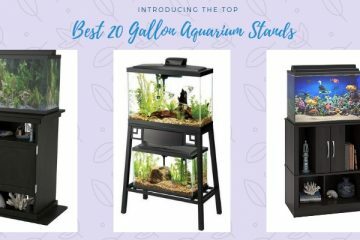 Fluval Plant and Shrimp Stratum, ADA Aqua Design Amano Soil Amazonia and Mr. Aqua Aquarium Soil all fall into the aquatic soil category. Their appearance is noticeably different than the mineral ore-based plant substrates. Some aquatic plant enthusiasts like the softer look of the soil pellets. Many feel it appears more natural in a planted aquarium. Some aquarists like smooth substrates when they keep fish that swim or rest on the bottom. Sharp-edged gravel has been blamed for belly scrapes and irritation with catfish and loaches. Dwarf freshwater shrimp are very popular in planted aquariums. Some aquarists keep shrimp and plants while others add tropical fish to the mix. Amano, cherry, bee and other shrimp like to forage in the substrate. The soft, lightweight soil granules are easy for the shrimp to pick up and pick at. Shrimp enthusiasts like the soft pellets because baby shrimp can easily hide in between the granules, forage for food and stay away from predators. All of these aquarium plant substrates contain peat. This means the substrates will slowly acidify the root zone and sometimes the aquarium water. The benefit of the slightly acidic root zone is that acidic conditions make plant nutrients easily absorbable by the roots. 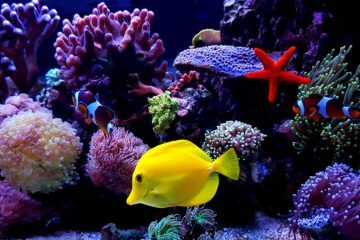 The aquarium water may not be acidified depending on the carbonate hardness of the water. Don’t expect these aquatic soils to automatically acidify aquariums with high carbonates. If you’re adding high carbonate water for top-offs and water changes, the pH may never drop below 7.5. If there is a downside to the aquatic soil style of plant substrate, it’s the low density and mush factor. What’s that mean? These peat-based substrates are high in peat material. The compressed peat granules will eventually swell and start to get soft. The low density of the peat makes it easy to stir up the aquatic soil when you move a plant or add new specimens to the tank. The cloud will clear up in a few hours, but it really bothers some aquarists. Others feel they are aquatic gardeners working with a natural soil-like substrate. They expect to “get a little dirty” while gardening. The same goes for gravel siphoning. 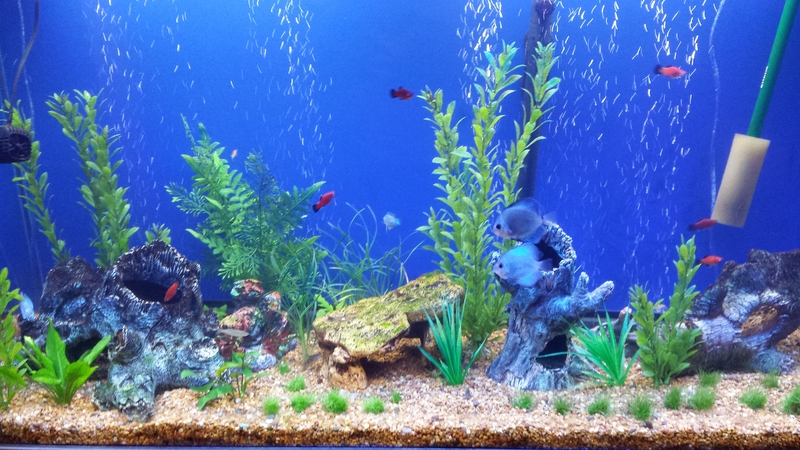 Some aquarists like to or need to clean the gravel bed. They don’t like a build-up of sludge on the surface of the gravel. These fluffy, light substrates can’t be siphon-cleaned. They’ll just get sucked out with the sludge. The work-around is to carefully siphon only the surface of the substrate. This cleans away debris with disturbing the entire root zone, which is not recommended anyway. The last consideration is the possibility of mushy substrate. Over many months the peat-based granules get soft and may even turn into something that really looks like soil. This is great for the plant, but some aquarists like the look of pellet-like granules. In this case the solution is to siphon out some of the old plant substrate and add a layer of new substrate on top. If you consider your aquarium an underwater garden, you may not mind reinvigorating your planted aquarium every one or two years. Avoid sand substrates and traditional colored aquarium gravel when setting up your plant aquarium. They have no benefit for plants and could even stunt plant growth. Either type of aquarium plant substrate, mineral-based or soil-like, will support beautiful plant growth. If you don’t mind the extra care needed when using aquatic soil substrates, Fluval Plant and Shrimp Stratum, ADA Aqua Design Amano Soil Amazonia and Mr. Aqua Aquarium Soil are great substrates for your planted aquarium. 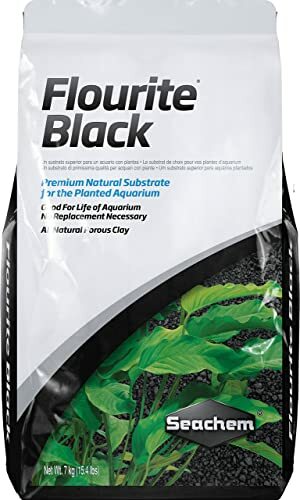 If you’re looking for easier aquatic gardening and the ability to deep clean the substrate, Carib Sea Eco Complete Planted Black Aquarium Substrate, Seachem’s Fluorite Black and Carib Sea’s Eco-Complete planted aquarium substrate are the best options.